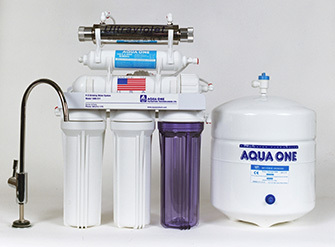 The Reverse Osmosis System II utilizes the S-101 carbon pre-filter to reduce chlorine taste, odors and other particulate matter in the water. 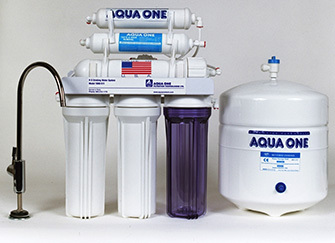 The system's thin film composite reverse osmosis membrane then filters water down to .0001 micron. 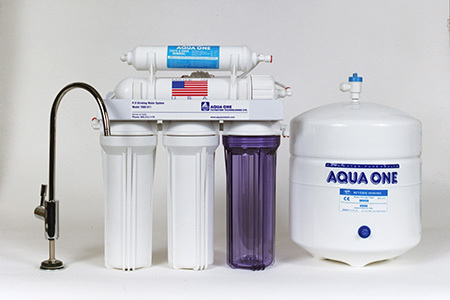 This method of filtration reduces contaminants as arsenic, lead, copper, sodium, nitrates, fluoride, cysts & total dissolved solids. 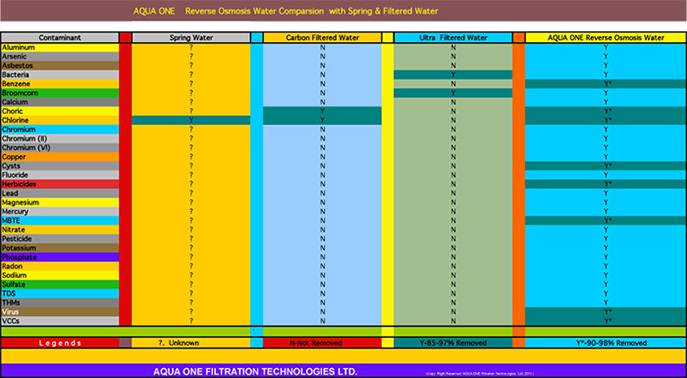 The Reverse Osmosis System III employs the same water filtrating capabilities as ROM II but adds another level of protection against volatile chemicals and MTBE that may exist in water. This method of filtration also reduces contaminants such as: Arsenic, lead, copper, sodium, fluoride, cysts and total dissolved solids. The GE Merlin 1255052 RO System features continuous-flow water production so that a storage tank is no longer required. The 720 GPD Tankless RO System is eco-friendly, as it requires no pump or electricity. This system requires a continuous, minimum 40-50 psi of pressure to operate properly! The Goldline 5-Stage RO System 50 GPD provides you with high-quality drinking water. The GOLDLINE-50 RO system's 5 stages include: Stage 1- 5 micron sediment pre-filter, Stage 2- 5 micron carbon block, Stage 3- 5 micron carbon block, Stage 4- 50 GPD RO membrane, and Stage 5- inline GAC post-filter. 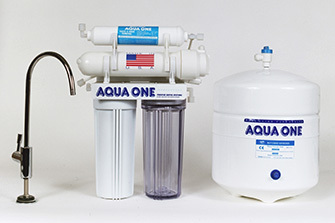 Includes 3.2-gallon steel tank and NSF/Prop 65 lead-free faucet, and installation kit. 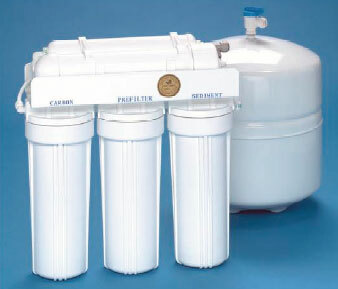 Purotwist 3 & 4 stage Reverse Osmosis Dirking Water System with sediment, carbon block pre filter. GAC post polishing filter, Designer faucet and pressure tank. Membrane production rate 50 gallons per day.